« What’s Gottfredson’s PAGIA up to? Tagged 2015 Faculty Union, Faculty pay. Bookmark the permalink. 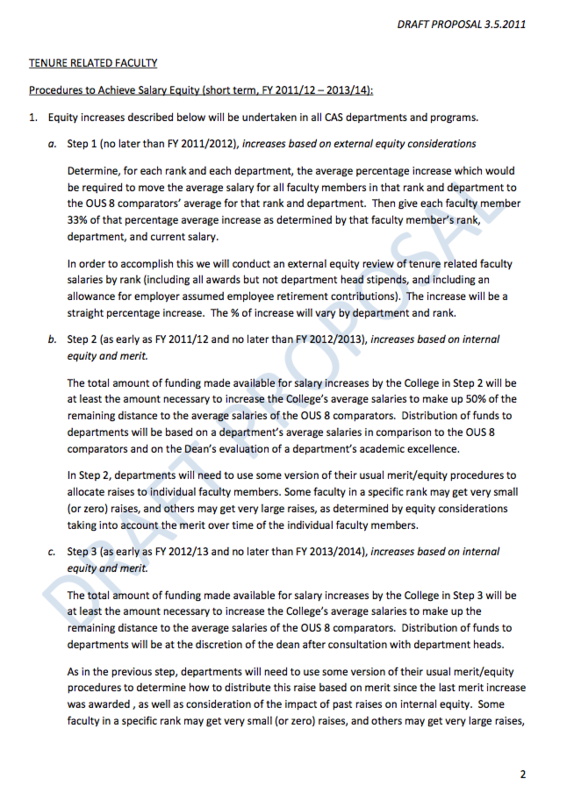 14 Responses to Union proposes 7% + 6% to get faculty to Lariviere target. Bargaining Session IV: Economics, Thursday 2/26 10AM. 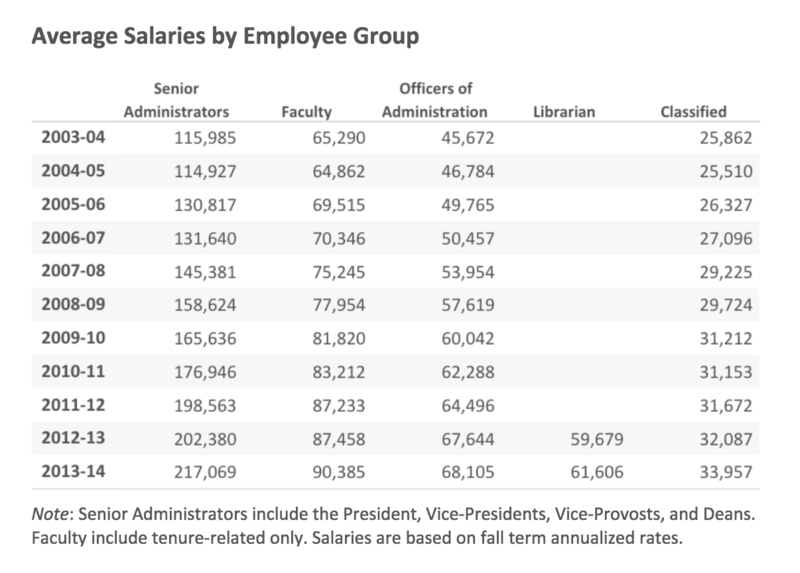 In the past, it seemed reasonable to try to bring up faculty salaries to the average of our comparators (obviously, those attempts were unsuccessful). 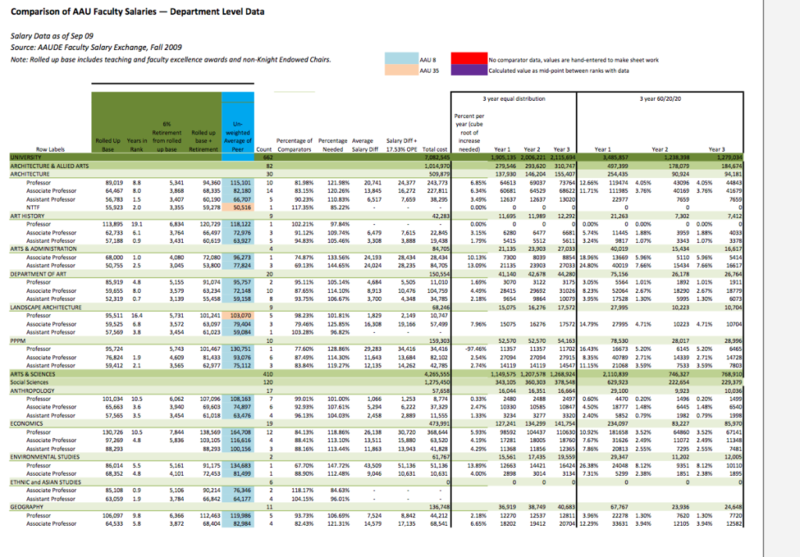 In the meantime, administrator salaries have skyrocketed well past those of our comparators. 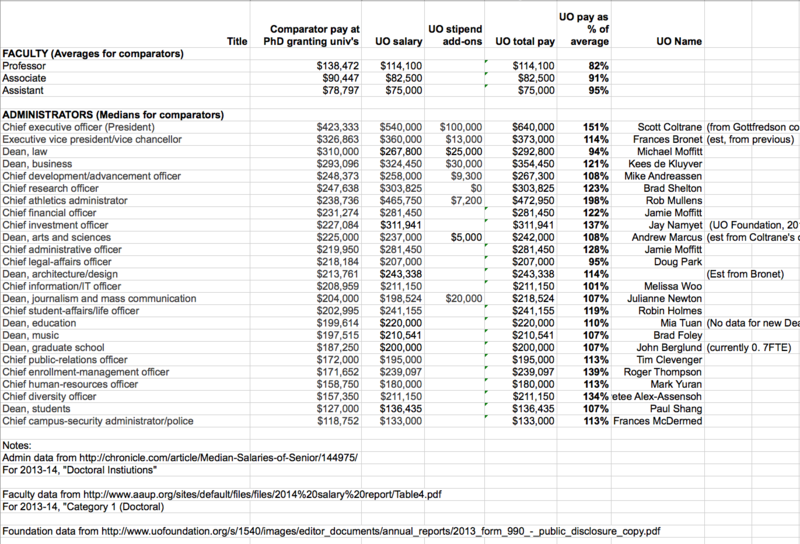 Maybe the union should instead aspire to tether faculty salaries to those of our administrators, in terms of percentage to our comparators: If our average administrator is at 120% of the comparator average, then faculty salaries should be at 120% of the comparator average. That would apply both an upward pressure on faculty salaries, and a much-needed downward pressure on administrator salaries. Very good idea. You’d have to carefully identify a particular basket of administrators like Deans, VPs, etc. Otherwise the administrator average could be gamed by creation of more low-level administrators. There would be no downward pressure on admin salaries. Remember what happened to retirement benefits when the legislators got the same deal? The voted in the automatic 8% returns that are obviously unsustainable. There is no self-control at the top here either. The session is NOT in the Knight Library Collaboration Center, but in the Ford Alumni Center, Room 403.
or about 4 times higher than it was. 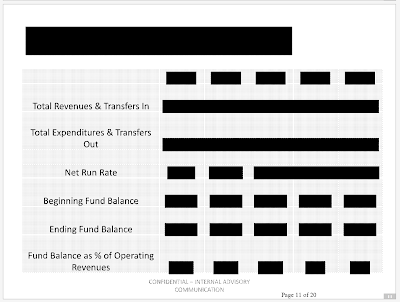 That’s what egregious imbalance looks like. 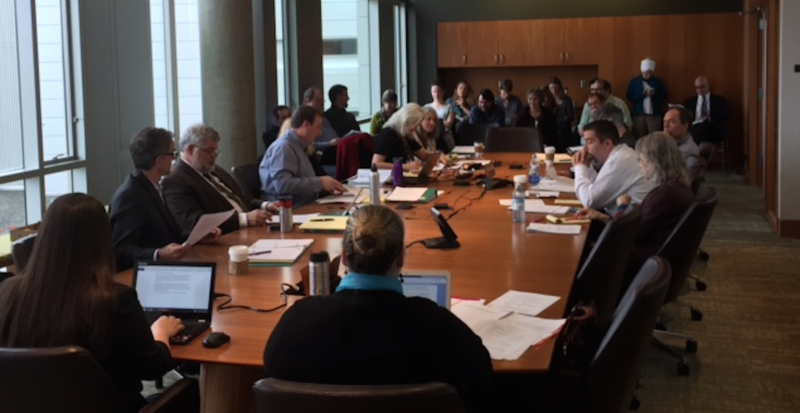 SEIU Higher Education bargaining with USSE (University Shared Services Enterprise, formerly known as OUS) Thursday and Friday at the Riverfront Research Park. Rally Friday, 12:15pm-12:45pm, steps of Johnson Hall. 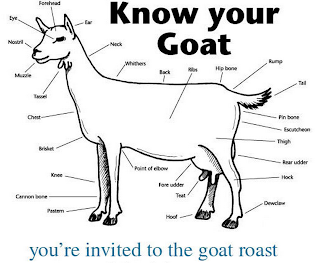 Allies invited!! Light lunch provided! we had a fair contract? Meanwhile, classified staff fall further and further behind. Hey! We’re bargaining now, too! Dropped in to watch bargaining for about 20 minutes this morning, all I could spare. My first time doing so. Just want to thank the bargaining team. It really moved me to see them speaking for us so calmly yet forcefully, with good humor and grace. If, like me, you haven’t attended a bargaining session before, it’s really worth doing. It opened my eyes. Doe the Union realize that, in principle, application of external equity can produce internal equity issues? Example: If some one really got a 5% raise based on external equity, then that would likely create a new internal equity problem. My view is that external equity is something that should be done across the board, per rank, in a department and not subject to individual, within rank, variations. That’s what internal equity is for. You may be sure, effing Dog, that they do. Actually, Dog, that question was asked and answered at the bargaining session today. Yes, of course they’re aware of it, and are hoping to work together with the administration to arrange the sequencing of the raises in such a way as to avoid this, was what I took from the exchange. Yes, it does depend on the sequencing, hence the source of concern.